When the clouds of Porsche 917 exhaust finally cleared from Laguna Seca and Rennsport VI officially wrapped, the Porsche celebration attracted a total of 80,000 fans. A not-insignificant portion of these folks brought along one of their prized P-Cars from their garage, parking it amongst friends in the corral area. The turnout was very eclectic, ranging from base-level Boxsters to rarified road-going homologation specials. 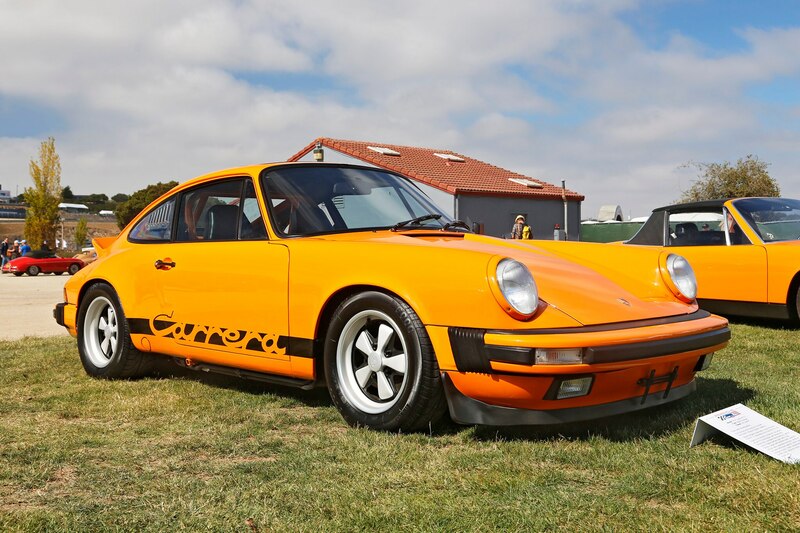 While not as exciting and valuable as the 2.7 RS that immediately preceded it, the 1974-1975 2.7 Carrera offered the same powertrain and weight in a similar package. U.S. market Carreras are down on power and performance, but this one was hot-rodded with a 3.2-liter flat-six following its discovery in Tijuana, Mexico. Since its introduction in 1967, the Targa remains an integral part of the 911 lineup, even when sales are not as strong as either the coupe or the soft-top convertible. Departing from the collapsible center roof design with the arrival of the 993, the Targa morphed into a fixed-roof coupe with essentially a massive sunroof. This new glass canopy design continued through the 997 generation, eventually returning to its roots with the current 991 Targa. 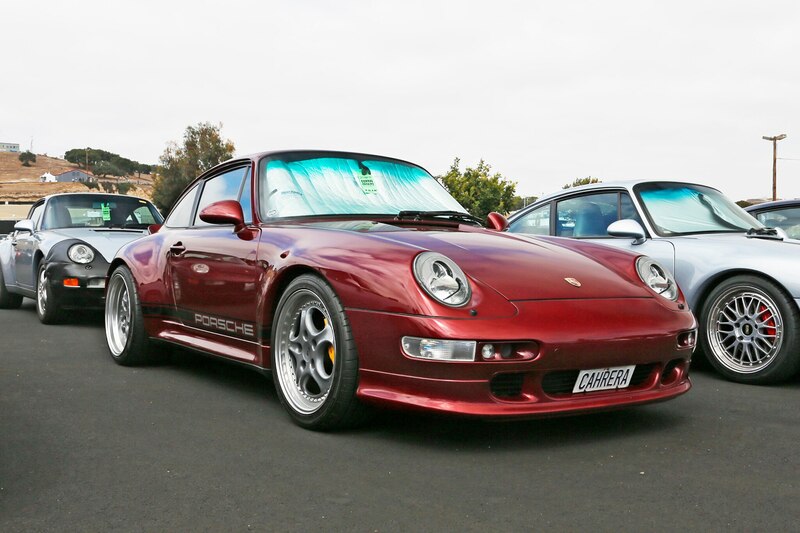 Speaking of 993s, check out this tastefully modified 993 coupe. 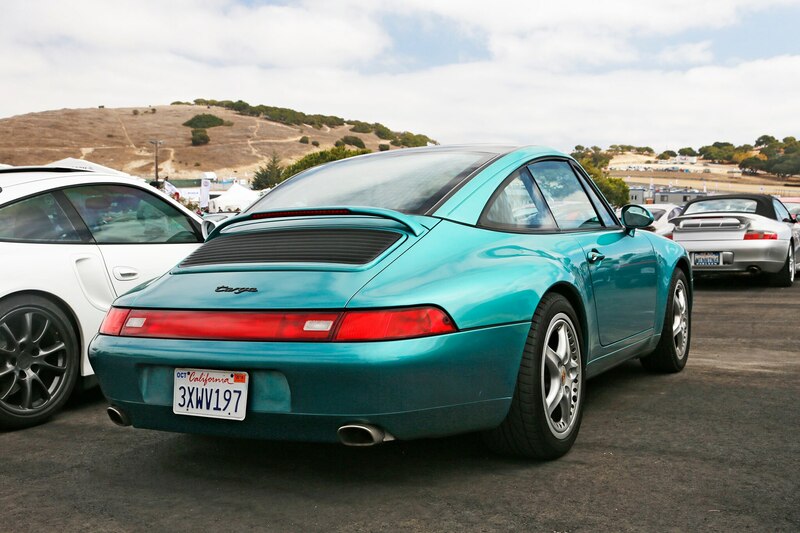 We’re not entirely sure if it’s an original 993 RS, but it sports enough RS-style parts to capture our attention. Even if it’s mimicry, it’s an extremely well-done build. This one took a bit of research. 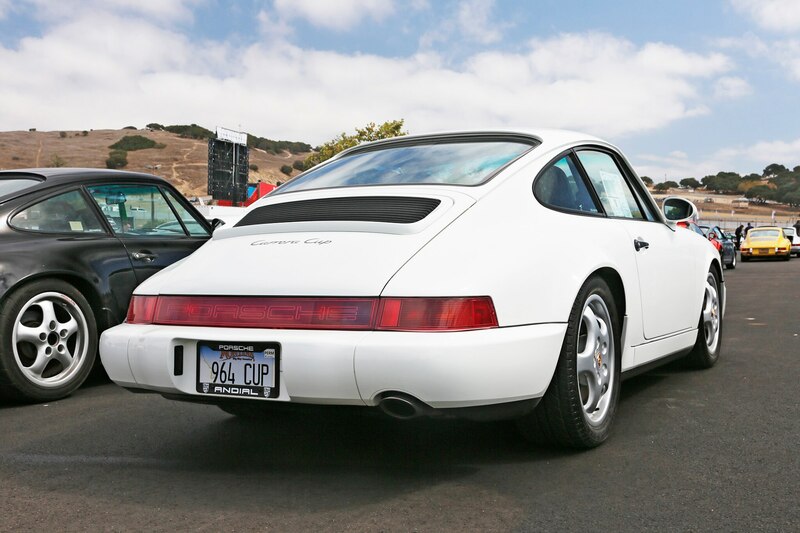 The history of both the 964 RS and Cup cars is quite tangled, but it appears this white coupe is one of just 45 cars created for the failed 964 Cup series. When the series never panned out, Andial took over the project and converted a number of these cars back to street-able spec, conforming with federal regulations. This is another one of those corral mysteries. Devoid of both rear decklid script and a wing, we’re unsure if this is a 930 Turbo or just a Turbo-look Carrera (option M491). Either way, it looked great, with an updated front bumper and blacked-out wheels. Pity the 996. As far as Porsches go, it’s impressive how widely unloved this generation of 911 is. 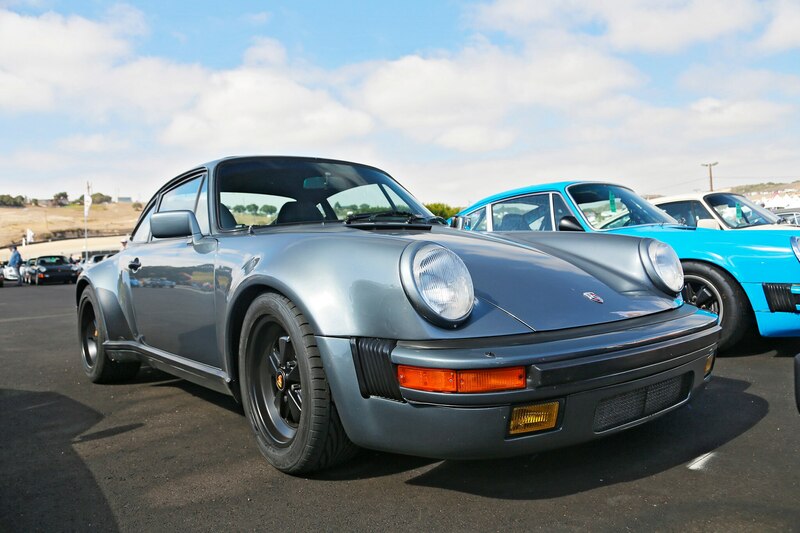 Serving as the first water-cooled 911, it sits deep in the shadow of the 993 that preceded it. Factor in sometimes-awkward styling, reduced build quality, and the crippling IMS issue, and Porsche snobs often look down on this revolutionary model. Still, variants like the 996 Turbo remain semi-desirable, having fewer problems and better performance than the base Carrera. 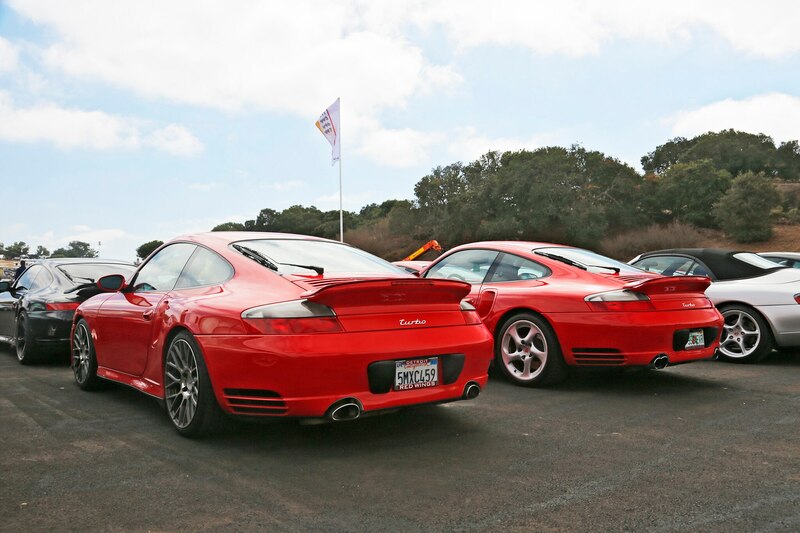 Of the 996s in attendance, this pair of clean red coupes stood out. No, not that Carrea GT. 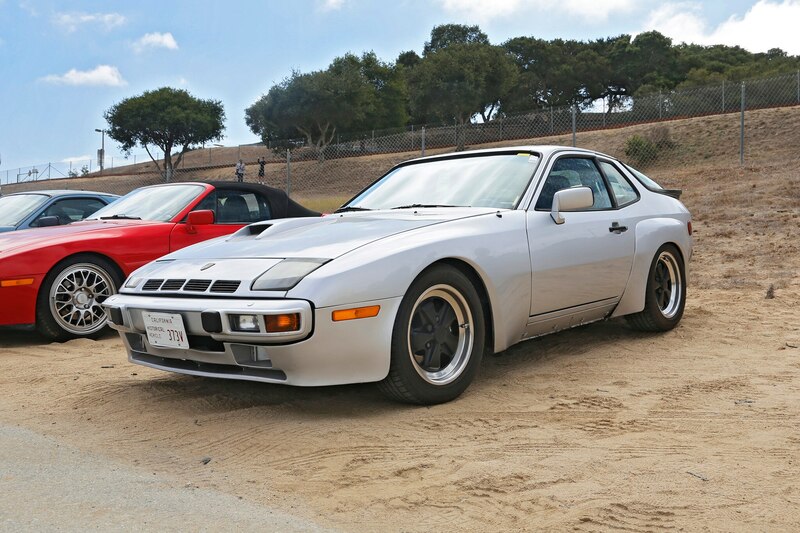 This 924 was one of roughly 400 produced for homologation purposes, aimed at bringing the Porsche crest into the Group 4 racing segment. Box flares, hood-mounted intake scoop, modified front bumper, and a power boost from the 2.0-liter turbocharged four-cylinder separated the CGT from the regular 924 Turbo. Power sat at 210 hp, jumping up to an impressive 280 with later, rarer iterations. Seeing any vintage Porsche in a state of disrepair is a rare sight these days. When you do find one, it’s nice to see what it looks like with dull paint, rusty panels, and leaky engine. This 356C was parked amid a field of Stuttgart’s shiniest, and it was almost cooler than the over-restored lot-mates. 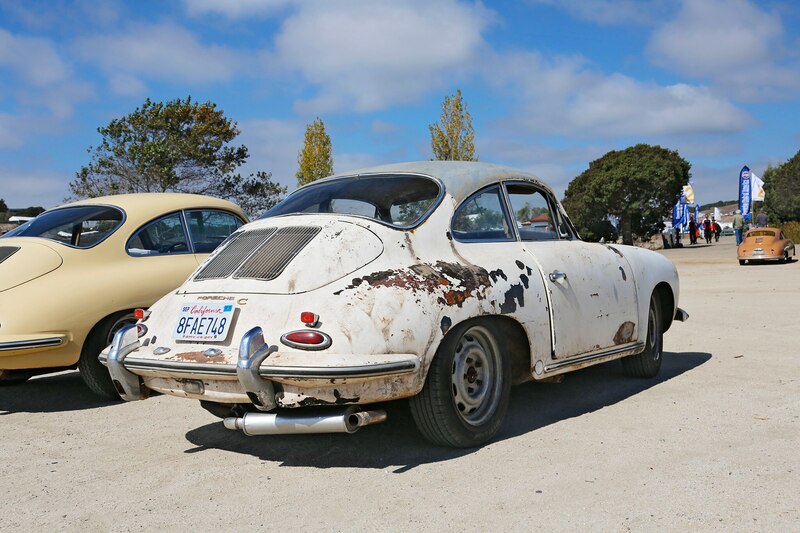 Only at Rennsport will you find a split-window “Pre-A” 356 parked in a dirt lot. 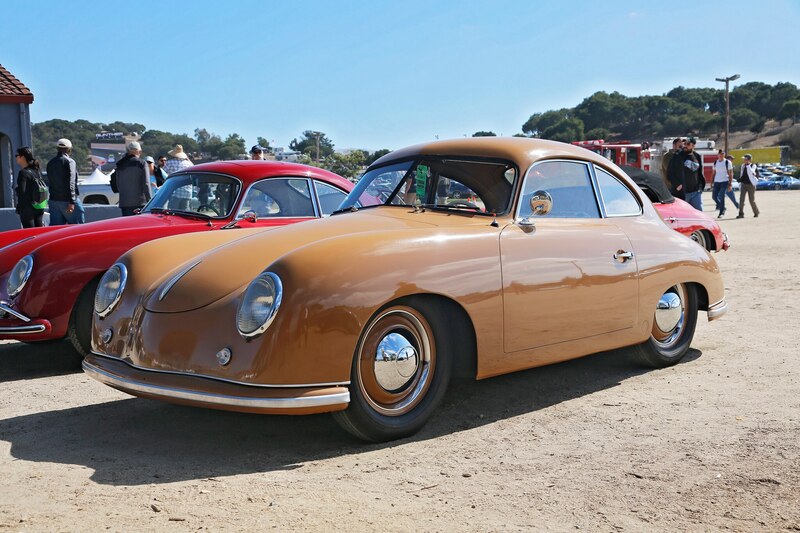 This is one of the earliest cars to wear the Porsche name, channeling more than a little VW Beetle than some would like.